Leon Trotsky (Lev Davidovich Bronstein). Russian intellectual, theoretician and politician. He actively participated in the Russian Revolution (1917) and was the organizer of the Red Army. He born in Yakovka (Ukraine) on November 7, 1879 in a Jewish family of farmers owners. He studied in Odessa and Mykolayiv, and was outstanding out for his intellectual ability. He studied law at the University of Odessa. He got his start in politics in 1896, joining in Mykolayiv populist circles, although he soon joined the Marxist movement. He had a profound knowledge of Marxist theory, which contributed to developments such as the theory of permanent revolution. In 1897 he founded the Workers League of Southern Russia, whose activities against the Tsarist autocracy would get him arrested, imprisoned and exiled. He was arrested several times and exiled to Siberia; escaped from his exile in 1902 and moved to Europe adopting the pseudonym Trotsky (the name of a jailer who had guarded him). During his stay abroad, he joined Vladimir Lenin, Julius Martov, Georgi Plekhanov and other members of the Russian Social Democratic Labor Party (RSDLP) who edited the Iskra (The Spark) newspaper. When the second congress of the RSDLP, held in London in 1903, he had marked differences with Lenin and the Bolsheviks and joined the Menshiks without establishing strong ties. After the failure of the 1905 revolution, he was deported to Siberia again and escaped again in 1907 and devoted the next decade to defending his ideas, engaging in frequent ideological disputes. When the start of the Russian Revolution in February 1917 Trotsky was in New York when it occured, collaborating in a Russian newspaper, so he moved to Russia and joined the Petrograd Soviet, engaging directly with the Bolsheviks in the revolutionary process as part of the Central Committee of the party. After touring several countries contacting hotbeds of revolutionary conspirators, he moved to Russia when the Revolution broke out in February 1917, which overthrew [Tsar] Nicholas II. He played a central role in the conquest of power by Lenin, was responsible for the taking of the Winter Palace by the Bolsheviks. Lenin was forced to retire from political life in May 1922 after suffering a stroke as a consequence of an attack. After Lenin’s death, he was dismissed from his post of commissar of War in 1925 and expelled from the Politburo in 1926. Stalin sent him into exile to Central Asia in 1928 and was banished from the Union of Soviet Socialist Republics (USSR) in 1929. He spent the rest of his life making public his criticism of Stalin. He lived in Turkey, France, Norway and finally in Mexico, invited by the Mexican President, General Lazaro Cardenas, in1937. He initially lived at a home belonging to Mexican painter Diego Rivera and his wife Frida Kahlo. 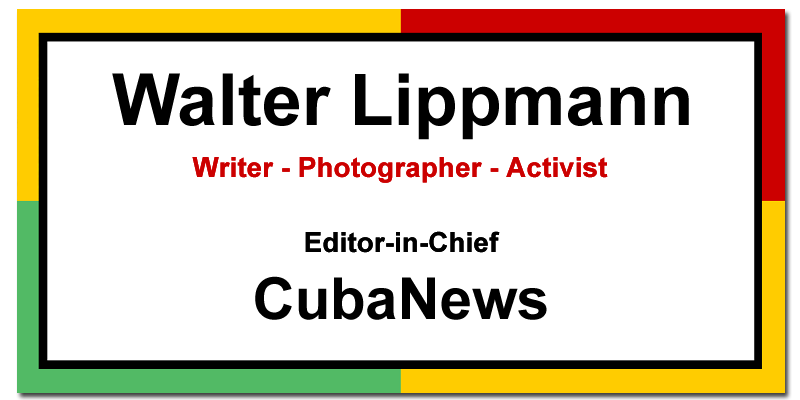 He was the subject of several attacks in almost all countries and cities where he lived in exile, including the one carried out by a commando of the Mexican Communists. Ramon Mercader, a Catalan trained by Soviet intelligence and sent from the USSR and penetrated Trotsky’s inner circle. Mercader attacked Trotsky in this occupied residence in the Mexican city of Coyoacán, on 20 August 1940 with an ice ax (ax mountaineer), which sank into his head; but he was able to react and asked for help. Trotsky died the next day. He wrote numerous essays, an autobiography, My Life (1930), A History of the Russian Revolution (3 volumes, 1931-1933), The Revolution Betrayed (1936), and articles on major current issues of his day (Stalinism, Nazism, fascism or the Spanish Civil War). He is considered by many one of the most important Marxist theorists of the twentieth century, especially in relation to the theory of revolution in the imperialist epoch: his theory of permanent revolution. As a journalist and historian, was recognized as one of the greatest political writers of the century. their contributions were also highlighted in the field of art and culture. 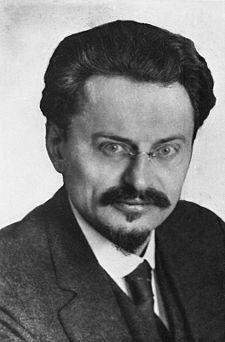 Biography of Leon Trotsky. Biographies and lives taken. The man who loved the dogs. Leonardo Padura, 2009. Leon Trotsky (Lev Davidovich Bronstein). Intelectual, político y teórico ruso. Participó activamente en laRevolución Rusa (1917) y fue organizador del Ejército Rojo. Fue detenido varias veces y desterrado a Siberia; escapa de su destierro en 1902 y se traslada aEuropa adoptando el seudónimo de Trotsky (nombre de un carcelero que le había custodiado). Durante su estancia en el extranjero, se unió a Vladimir Lenin, Julius. Mártov, Gueorgui Plejánov y otros miembros del Partido Obrero Socialdemócrata Ruso (POSDR) que editaban el periódico Iskra (La Chispa). Luego fue comisario de Guerra (1918-1925), cargo desde el cual organizó el Ejército Rojo en condiciones muy difíciles y derrotó en una larga guerra civil a los llamados ejércitos blancos (contrarrevolucionarios) y a sus aliados occidentales (1918–1920). Escribió numerosos ensayos, una autobiografía, Mi vida (1930), una Historia de la Revolución Rusa (3 volúmenes, 1931–1933), La revolución traicionada (1936), y artículos sobre los principales temas de la actualidad de su época (estalinismo, nazismo, fascismo o la Guerra Civil espaňola).